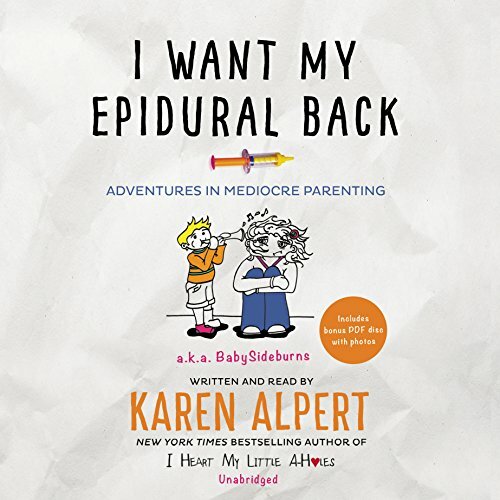 The New York Times bestselling author of I Heart My Little A-Holes and creator of the wildly popular Baby Sideburns parenting blog offers her brutally honest and hilarious take on parenting -- showing you that mediocre parents are awesome too. Moms and dads today worry they're bad parents. They see others on Facebook and Pinterest showing off their smiley, perfect, put-together spotless children creating masterworks of art in their gorgeously designed playrooms. They constantly hear moms brag about whipping up three-course gourmet dinners while their kids sit quietly reading books far beyond their grade level. They read posts from parents complaining that they can't get their daughter to eat her French fries because she's too full from broccoli. Karen shares her honest, crass, pee-in-your-pants-funny observations, stories, quips, and essays on discipline, potty training, eating, sleeping, and more that will make you laugh and have you nodding your head in recognition. Observing the world of parents and children through her edgy and unique perspective, Karen brings reality into focus, reminding moms and dads everywhere to celebrate and embrace their own not-so-perfect-yet-totally-wonderful parenthood.